This native Southerner dreams of traveling from New Orleans to LA, with some seafood and deep dish pizza in between. 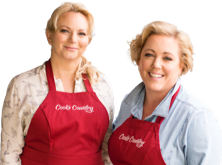 Since we love stories—and food—from the road, I reached out to our Cook’s Country team to ask them about their ultimate, no-limitations road trip. Today's dream drive comes from Matthew Fairman, a test cooks and South Carolina native. Here’s where he would go, what he would listen to, and most importantly, what he would eat. I’m hoping to eat lots of cheap, abundant seafood in New Orleans, Louisiana. My wife and I went to Harbor Seafood & Oyster Bar Restaurant the last time we were there. We were able to get a giant crawfish, boiled shrimp, potatoes, and corn for like 15 dollars—more than enough to feed two people. New Orleans is right on the gulf, so it’s one of the few places you can go to and still get fresh, cheap seafood. Besides making a second visit to this recent find, I’d also like to find a place that serves crawfish boudin. I’d never seen crawfish boudin till I was in New Orleans. I haven’t been home in a while, so I’m heading to Charleston, South Carolina next. Besides visiting family, I’m heading there for the same reasons I just came from Louisiana. . . more seafood. In my mind, we have the absolute best shrimp I’ve ever tasted (tomatoes too!). The shrimp in South Carolina is sweeter—it’s worlds apart from what you’ll find here in Boston. Anytime I go home to Charleston, I’m not necessarily looking to eat at a restaurant. I like to buy fresh seafood and vegetables myself. I’m going to the nearest roadside stand for fresh tomatoes and taking an hour drive to Edisto Island for some fresh shrimp. You can get fresh shrimp on this island that’s been caught that day, directly from a boat. If we choose to eat out, we’re going to Lewis Barbecue for some brisket. They actually catered my brother’s wedding and I was blown away. I’ve been to Chicago, Illinois with my brother once before. This is when I was 18 and didn’t care about food very much. We were big Chicago Bulls fans, so we went to see the statue of Michael Jordan outside of the United Center. Through word of mouth though I’ve heard Chicago is an amazing food city. It’s one of the three cities in the U.S. that has a Michelin 3-star restaurant. . . and that’s huge. There are some stereotypical things I want to try when I get there, like a Chicago dog and deep-dish pizza. The things locals rave about. The shrimp in South Carolina is sweeter—it’s worlds apart from what you’ll find here in Boston. After our stay in Chicago, we’re heading to San Francisco, California. This is a place I’ve been to once before and really want to go back to so I can make stop at Swan Oyster Depot. It’s a really cool place with this old school feel—it doesn’t seem like anything has changed there in the past three decades. It has an ultra fresh raw bar where you’ll find some of the best oysters. I’ll have to make another stop at a beach to see some of the Pacific Ocean. I can’t leave California without making a stop in Los Angeles. I haven’t been there before so I’m not exactly sure what I’m seeking in terms of restaurants. However, I know I’m going there for all of the different cuisines I love. There are so many neighborhoods in L.A. where I know we’ll find savory Mexican and Korean food. That will be a good ending to this trip before hitting the road and heading back to Boston. My wife, Lauren. She’s a great travel partner. Definitely the person that I want to discover new places with. Also, she’s from New Orleans and I’m from Charleston, so this feels like a family trip. I listen to podcasts a lot, too. They’re just a really good way to pass the time, especially for those moments where you don’t want to listen to music anymore. When I reach that point, I’ll put on a few episodes of Revisionist History by Malcolm Gladwell and listen to him speak for hours about the most quirky and interesting topics. Yes, definitely. Boiled Peanuts are a great car snack. You have to peel each one. It takes time, so it kind of keeps your mind off of the fact that you’re not at your destination yet. I’m also bringing my favorite candy along, Jelly Belly Sours. They’re surprisingly a great save for when I feel like I’m about to fall asleep at the wheel. What are you bringing back with you from this road trip? I’m bringing back food. When I go to New Orleans I always try to bring back frozen meat like tasso ham and boudin—things you can’t really find in Boston. Can’t forget to grab a few cans of Blue Runner Red Beans, too! Are you hitting the road this summer? If so, where are you heading? Let us know in the comments! Don’t forget to check out our other team member’s ultimate road trips for great destination, restaurant, and music recommendations below.